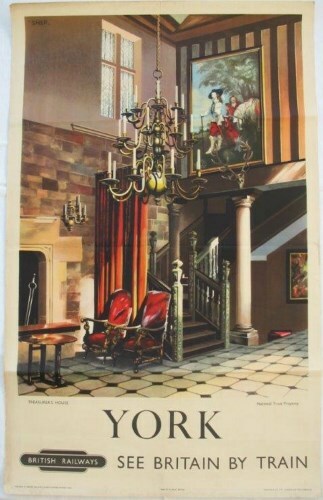 Lot 84 D/R Poster 1954 BR "York - Treasurer's House" by Charles Shepard (Shep). Interior view of 15th century National Trust house in York. Very good folded condition. Tear to bottom centre fold with acid-free tape on rear.